What is NVIDIA ray tracing and DLSS? Best answer: Ray tracing and Deep Learning Super Sampling (DLSS) are new technologies NVIDIA added to its latest GPUs to improve the visual fidelity of supported games. The RTX 2060 is a great GPU that takes advantage of these new features. Ray tracing is a rendering technique that creates a 3D image by calculating how virtual light rays hit various surfaces. This technique is seen as a replacement for the traditional method of lighting objects in games to make everything appear more realistic, but it does require a significant amount of power. Deep Learning Super Sampling (or DLSS) sounds like some form of fancy technology from the future and that's because it is. It's what NVIDIA is using to make ray tracing have less of a negative impact on performance. Super sampling is already present in some games that support it, effectively allowing the GPU and PC to render the game at a higher resolution than what the monitor can handle. DLSS would be good for visuals because of how the resulting image would be downsized to fit the resolution of the display, keeping all that additional detail when used with temporal anti-aliasing (TAA). For instance, you have a GTX 2080 Ti and a 1440p display. This GPU is overkill for such a resolution, which would allow you to render a game at 4K and have it downsized to 1440p, enjoying more crisp images. Where NVIDIA's DLSS takes TAA and makes it even better is by negating the serious system performance hit, utilizing machine learning (and dedicated hardware on RTX GPUs) to address aliased frames in-game with some degree of intelligence. While you're not technically gaming at 4K in the previous example I just provided, your PC would have to render the game at the high quality. DLSS should fix this in the long run by being smart. By running DLSS on the same game multiple times, the algorithm determining what needs to be addressed in-game becomes more effective and efficient, providing a slight performance improvement. However, DLSS may work better in some games and not so in others. It depends on various factors, including the game, engine, PC specs and more. The issue with DLSS (and ray tracing) is the lack of support in games. Should you be excited for ray tracing and DLSS? On paper, ray tracing, DLSS, and other improvements NVIDIA is attempting to add to its GPUs are great for PC gaming ... just not right now. The technologies are still in the early days of development, not too many games support the new features, and most people probably won't make the most out of the new tech. 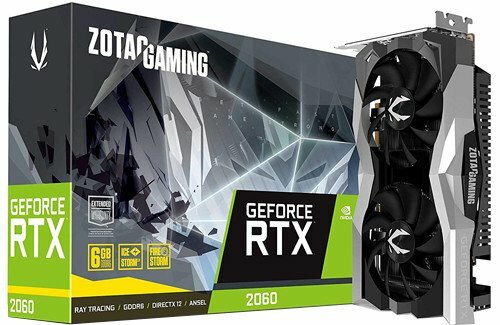 If you're looking for a new GPU, the RTX line of graphics cards is a great option for any gaming build. If you already own a GTX 10-series card, you could probably hold off for now, unless your card is a bottleneck or you desperately desire to try out ray tracing and DLSS. NVIDIA's latest generation of RTX 20 series cards is excellent for gaming, providing even more performance at a similar price point to the aging GTX 10 series. The only downside, for the time being, is games have yet to catch up by supporting ray tracing and DLSS.